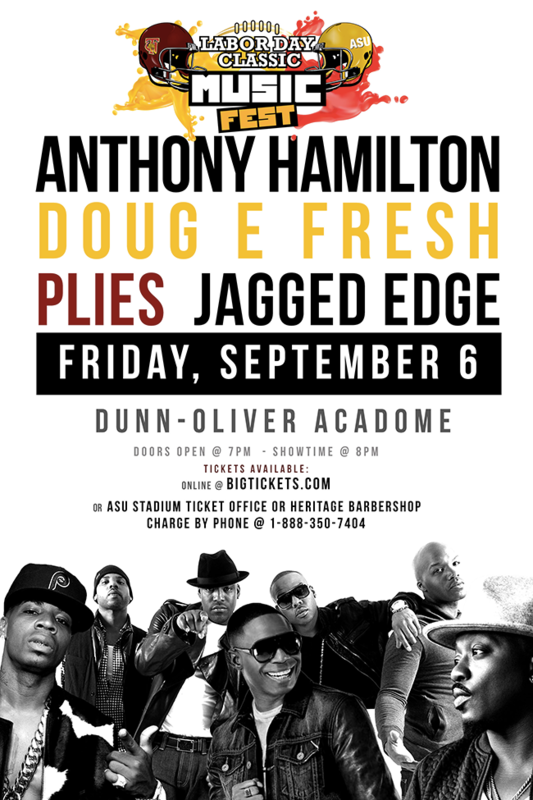 Labor Day Classic featuring Anthony Hamilton, Doug E. Fresh, Plies, and Jagged Edge! VIP Tickets: Each ticket includes a chair at the table located in a reserved area on floor. Seats 10 people to the table. Premium Tickets: Each ticket includes a seat in the reserved areas of Section A & Section B. General Admission Tickets: Each ticket includes a seat in Sections C & Section D.